Last post, I wrote about my observations at the airport and the masculine woman I observed there. Today’s post is on a similar idea… but a little different. As you may know (or not know), I am currently in Buenos Aires, Argentina for a little vacay (I will recap the trip in a later post). The trip has been full of activities and things to do and see. One of the activities lined up for us during the week was a tango lesson. From what was described to us… the tango is African in origin; starting among the slave men and then moving throughout the lower ranks among the dock workers and prostitutes. It traveled to Europe then returned as a more sophisticated dance. Our lesson was taught by professional performers… including some of whom were part of the world tour of Forever Tango. We watched as the lead instructor walked us through the most basic steps and configurations: eight step, six step, the walk, balance, three-four hold, and ocho (figure eight). For the most part, I stayed with my partner, who like all the rest of us, had never once danced the tango. We learned the basic steps, then moved around the room. Every once in a while, one of the professionals would cut in to show us the correct way to step. We were interrupted a few times during the lesson, and (no offense to my partner) when the male instructor would take over, it was like a different world… in more than just dance. Obviously the professionals know how to dance. They all know what they are doing… but what I enjoyed most about the professional male dancers- was their confidence. None of the confidence was portrayed in words, or income or accomplishment. It was simply through the dance. The instructors were so gentle with me, soft flowing, subtle movements… all the while, you could just feel, the strength and direction they wanted to guide you. It was- as I believe- the ultimate form of masculinity. Being able to be the man (without outright declaring you’re the man) is one of the most masculine and attractive things I think a man can do. It is this confidence that drives it. I know so many men in the U.S. consider dancing ‘gay’, a girl’s thing, or something not masculine… and I must say, I saw and felt the complete opposite of that. The juxtaposition of a strong hard man and soft gentle guidance and ease, gave me a greater feeling of being in the midst of a man- than an hour with a body builder or linebacker could ever do (unless they too know how to tango, lol). Some women are not able to let go and follow. One might assume, as an independent girl that I would resist the guidance, but… that’s not the case. I give into it. I follow. And it feels amazing when you just follow, let go and let the man take over the dance. You don’t have to think, your body instinctually moves. If you think, you’re toast. Not exactly the message to be sending the ladies out there- i.e., don’t use your brain- but over-thinking doesn’t help anything, Particularly in this case. You have to just go with the movements. The result? 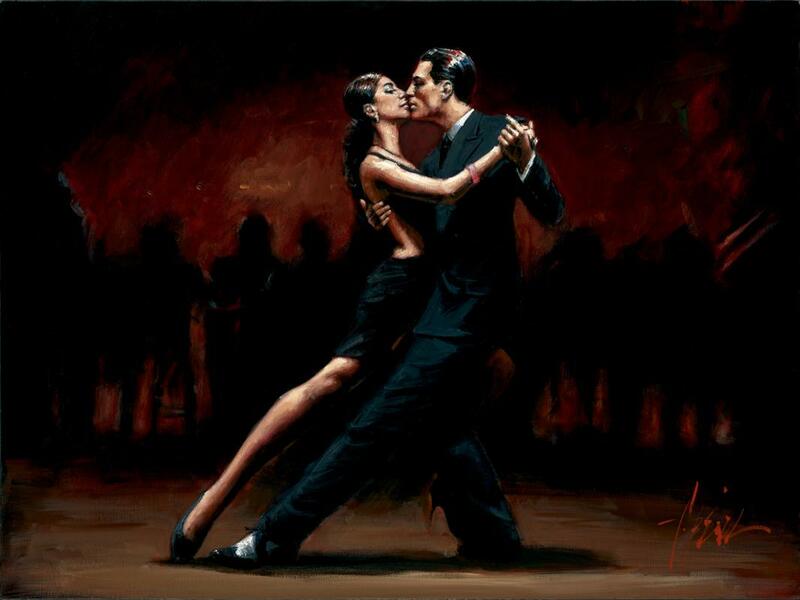 Suddenly, without even knowing it, you are dancing the tango. You should- it’s pretty fun!